This glamorous-looking gold and blush pink Luxe Fan Brush not only looks eye-catching on a dressing table, but also has a special shape to allow it to delicately clear away any rogue eyeshadow pigment underneath the eye. With its malleable bristles, it adapts to the contours of your face, making it great for delicately applying highlighter and blusher. ZOEVA’s high-performing brushes not only look beautiful, but also are considered among the best in the business, enabling you to blend and buff like a pro. Plus, each brush has its name written down the side, so there’s no head scratching as to what it’s meant for (hurrah!). This specially shaped fan brush has feather light bristles, so it can pick up and distribute just the right amount of product. 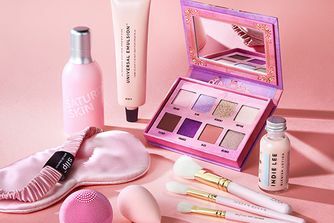 The design features a chic blush pink wooden handle, golden ferrule and a natural-synthetic bristle blend. ZOEVA’s collection of brushes are beloved by professionals and beauty devotees alike, each one delivering a flawless finish so you can boss even the trickiest of make up techniques. 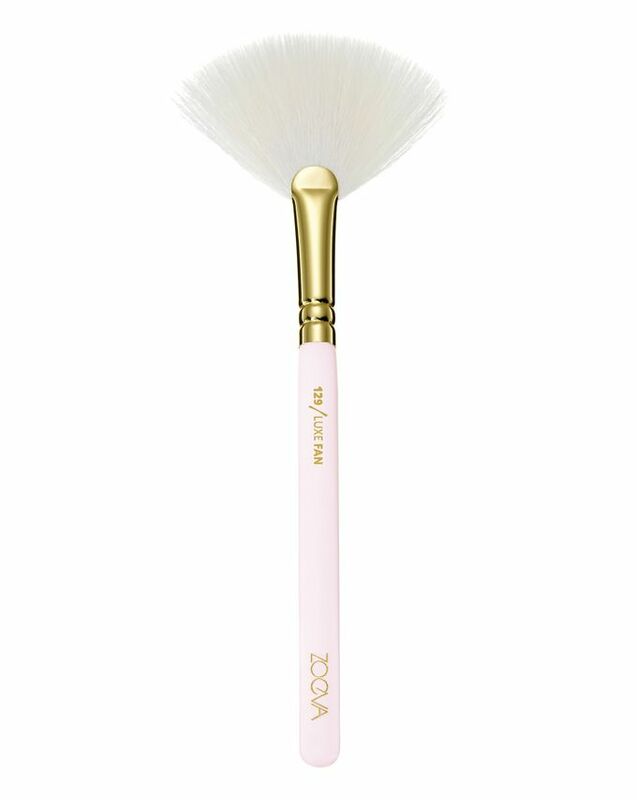 Soft as a feather, the ZOEVA 129 Luxe Fan Screen Queen Brush is especially suited for the delicate application of powder highlighter for a super natural finish. Additionally, you have a professional tool to erase any fall out or excess powder from your face. Multitasking at its best.